Things of Beauty Growing: British Studio Ceramics, Yale Center for British Art, New Haven, USA and Fitzwilliam Museum, Cambridge. The 2018 Nominees, Loewe Foundation Craft Prize. Jennifer Lee, LVS Gallery, Seoul. Twelve Artists, Erskine, Hall & Coe, London. Summer Show, Erskine, Hall & Coe, London. Jennifer Lee. Ceramics made in Shigaraki and London, Sokyo Gallery, TOSEI Art Print. 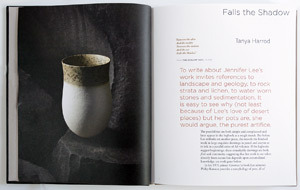 Falls the Shadow, Jennifer Lee ceramics, texts: Tanya Harrod and Edmund de Waal, Atlas. Available from Blurb. 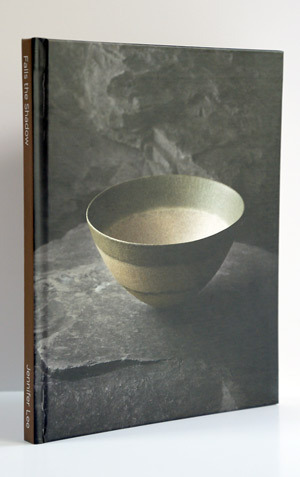 Richard Zakin, Ceramics: Mastering the Craft , Krause Publications. Vessels: The Spirit of Modern British Ceramics, Mashiko Museum. Danese Corey, Contemporary Ceramics, November - December, Blurb link. Annie Carlano (Editor), Tanya Harrod, Glenn Adamson, Michelle Mickey, Contemporary British Studio Ceramics: The Grainer Collection, Yale University Press. 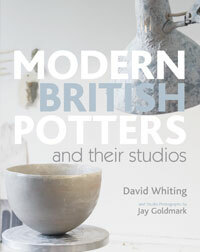 David Whiting, Modern British Potters and Their Studios, A&C Black, London. 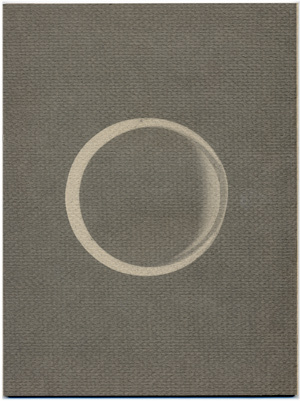 U-Tsu-Wa, Kyuryudo Art-Publishing Co, Tokyo. The Cellmark Collection, Cellmark, Göteborg. Susan and Jan Peterson, Craft and Art of Clay, Prentice Hall, USA, Laurence King, London. Susan and Jan Peterson, Working With Clay, Prentice Hall, USA, Laurence King, London. Emmanuel Cooper, Twentieth Century International Ceramics, Thames & Hudson, London. Jeffrey Jones, Studio Pottery in Britain, 1900-2005, A&C Black, London. Alun Graves, Jennifer Lee, Galerie Besson, London. Contemporary Studio Ceramics, California State University, Sacramento. Peter Siemssen Ceramics - A Lifelong Passion, Collection Peter Siemssen Foundation, Arnoldsche Art Publishers, Stuttgart. James Graham & Sons 1857-2007, James Graham & Sons, New York. Michael Hardy, Coiling, A&C Black, London. Cyril Frankel, Modern Pots: Hans Coper, Lucie Rie & Their Contemporaries: Ceramics from the Lisa Sainsbury Collection, exhibition guide, Dulwich Picture Gallery. Biennale Européene de Ceramique Contemporaines, Maison de l’Outil et de la Pensée Ouvriere, Troyes, France. Celebrating 30 years of the Crafts Council Shop at the Victoria & Albert Musuem, Crafts Council, London. SOFA Chicago 2005, Expressions of Culture, Chicago. Jane Perryman, Naked Clay, A&C Black, London. 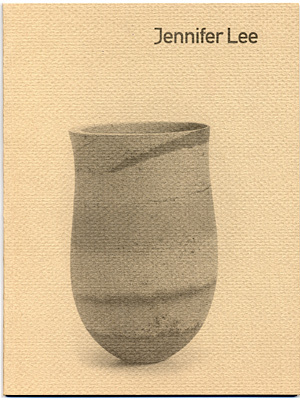 Richard Zakin, Electric Kiln Ceramics, 3rd edition, Krause publications. Yufuku Gallery, A Tale of Gallery in Minami Aoyama, Coherence, Tokyo. Charity Auction, Dulwich Picture Gallery. Betty Blandino, Coiled Pottery Traditional and Contemporary Ways, A&C Black, London. Amanda Fielding, Traces and Transformations, David Whiting, The Circumnavigation of Form - Jennifer Lee, New Work, Galerie Besson, London. David Whiting, Constructed Clay, Galerie Besson, London. 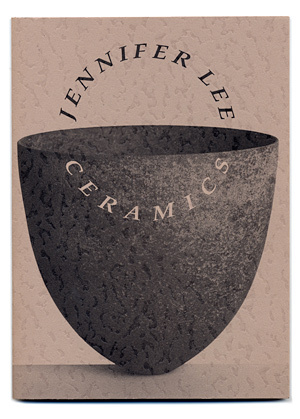 Jennifer Lee, Serene Beauty: Lucie Rie Retrospective, The Shigaraki Ceramic Cultural Park, The Museum of Contemporary Ceramic Art, Japan. SOFA Chicago 2002, Expressions of Culture, Chicago. Paul Rice, British Studio Ceramics, Crowood Press. Susan Peterson, Craft and the Art of Clay, Prentice Hall, USA. 1st World Ceramics Biennale, Ichon World Ceramic Centre Korea. Modern Pots: Ceramics from the Lisa Sainsbury Collection, exhibition guide, Sainsbury Centre for Visual Arts. Jo Lauria, Color and Fire Defining Moments in Studio Ceramics 1950-2000, Los Angeles County Museum of Art, Rizzoli. Susan Peterson, Contemporary Ceramics, Thames & Hudson and Calman/King. Karen S Chambers, Jennifer Lee, Galerie Besson, London. SOFA Chicago 2000, Expressions of Culture, Chicago. British Keramik: British Ceramics.2000.DK, Keramikmuseet Grimmerhus / Fine Art Productions, Denmark. Cyril Frankel, Modern Pots: Hans Coper Lucie Rie and their Contemporaries, The Lisa Sainsbury Collection, Thames & Hudson. Contemporary Ceramics, Thames & Hudson and Calman/King. Jane Adlin, Contemporary Ceramics: Selections from The Metropolitain Museum of Art, The Metropolitan Museum of Art, New York. Edmund de Waal, Design Sourcebook: Ceramics, New Holland. Josie Warshaw and Richard Phethean, The Complete Practical Potter, Anness Publishing Ltd.
25 Years Crafts Council Shop at the V&A, Crafts Council. Current Context, New Ways of Seeing, Royal Museum, edinburgh. Ceramics Monthly International Competition, The American Ceramic Society. Peter Schmitt, Frauen in Europa, Keramikerinnen aus 15 europäisches Ländern, Bayerisher Kunstgewerbe-verein, Munich and Galerie Marianne Heller. Eric Yates-Owen, Richard Fournier, British Studio Potters Marks, A&C Black, London. Published to coincide with the exhibition the nature of things: Jennifer Lee, Hans Stofer and Laura Ellen Bacon at The New Art Centre, Roche Court Sculpture Park, curated by Sarah Griffin, 2012.